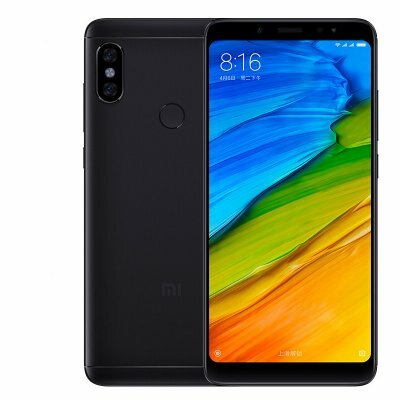 Successfully Added XiaomiRedmi Note 5 Android Phone – Octa-Core CPU, 3GB RAM, Dual-IMEI, 12MP Dual-Rear Cam, 2K Display, 4G (Black) to your Shopping Cart. Xiaomi once again has managed to impress the global smartphone industry with the launch of their Redmi Note 5 Android phone. This remarkably powerful Android smartphone treats you to the latest hardware and software features alike at an affordable price. The phone runs on an Android 7.0 operating system. Thanks to this, you’ll be able to undergo a smooth user experience even when using the most up to date features on the market. On the phone’s breathtaking 5.99-Inch display, you’ll be able to enjoy all the phone’s features and your favorite media in stunning 2K resolution. The display features an 18:9 full-screen ration which makes it great for enjoying media on the go. No matter where you are, with the XiaomiRedmi Note 5, you’ll always be able to undergo a cinematic experience from the palm of your hand. Packed within the sleek body of this Android phone you’ll find the immensely powerful Qualcomm Snapdragon 652 processor. This Octa-Core CPU has been clocked at 1.8GHz and comes along with 3GB RAM. Together, this hardware lets you tackle the most demanding media and software features without ever dropping a frame. Simply head out to the play store and download all your favorite types of entertainment. With 32GB internal storage and 128GB external storage at your disposal, you won’t have to worry anytime soon about running out of memory to store your files. Thanks to the phone’s 4000mAh battery, you can enjoy all it has to offer throughout the day without ever running low on juice. With its Dual-IMEI numbers, 4G, and Dual-Band WiFi, the XiaomiRedmi Note 5 keeps you connected anywhere you go. You’ll be able to slide in two SIM cards while staying connected to both numbers at the same time. Additionally, you can browse the web at lightning speeds without ever running into a laggy internet connection again. Thanks to the phone’s fingerprint scanner, accessing your files has never been easier. With the simple press of your finger you can access your contacts, games, and pictures. The latter of which can be snapped with the phone’s professional-grade 12MP dual-rear camera.